It happens every year. Someone gets hired by a popular media outlet, only to have their social-media history ransacked and every racist, sexist, or unfunny thought they’ve ever had exposed. It’s not a bad thing, per se—maybe we should all refrain from making bad jokes about “fat chicks,” Trevor Noah—but it is a little harsh, especially when the world is judging a comedian for making jokes that even they’d probably admit weren’t that great. 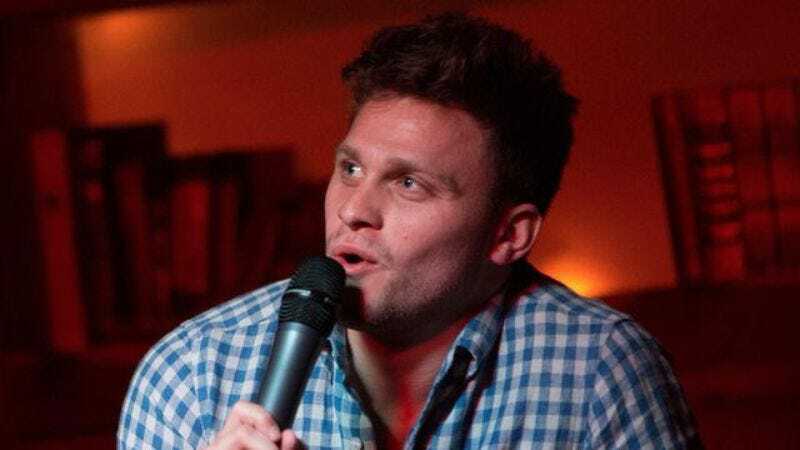 That’s what’s happening right now to Jon Rudnitsky, the latest stand-up to join the cast of Saturday Night Live. Defamer has posted its list of “tweets and Vines SNL’s new cast member should probably delete,” and while Rudnitsky certainly doesn’t come off like a shining paragon of humanity with his heinous jokes about “whores,” unwelcome gang bangs, and the c-word, it‘s a little comforting that all of Rudnitsky’s most offensive material was published about two to three years ago. Maybe he’s changed since then. Saturday Night Live wouldn’t hire someone who makes racist “don’t shoot” jokes about Mexicans, right? Right?